We are all Latinos living peacefully in the U.S., but every 4 years our blood calls and we become more Mexican, Argentinean, Colombian, Brazilian, etc. than ever. We decided to ignite this patriotic calling with a message from relatives and friends from their home countries. 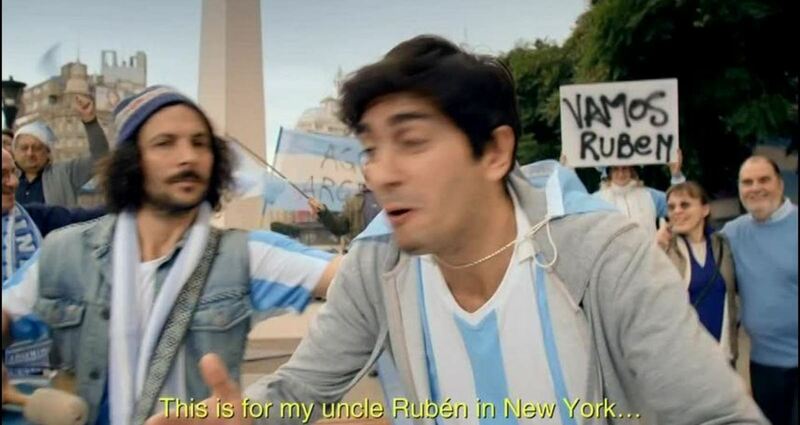 “Every fan counts” is a campaign that reminds U.S. Latinos who they are by using insightful cultural cues and recruits them to support their countries watching all of their teams games with TWC. During the World Cup qualifying matches, Time Warner Cable wanted to demonstrate how they bring people closer to their passions through innovation and technology. The Community Client: Rolling Stone Magazine Title: "The Steves"